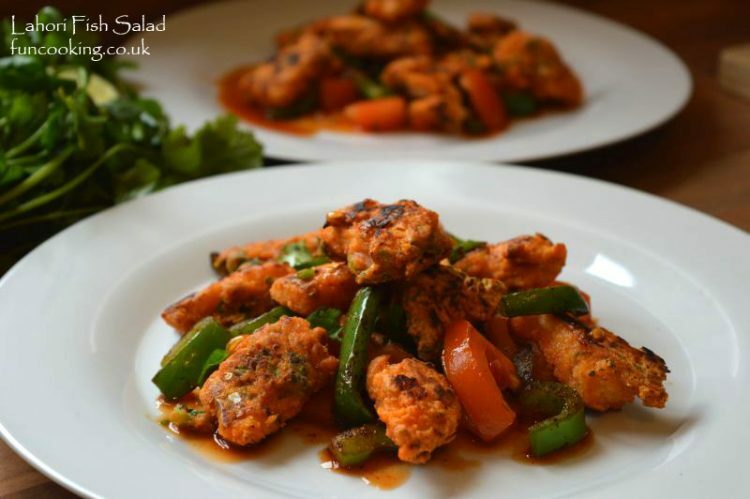 This is refreshing and healthy Salad recipe. 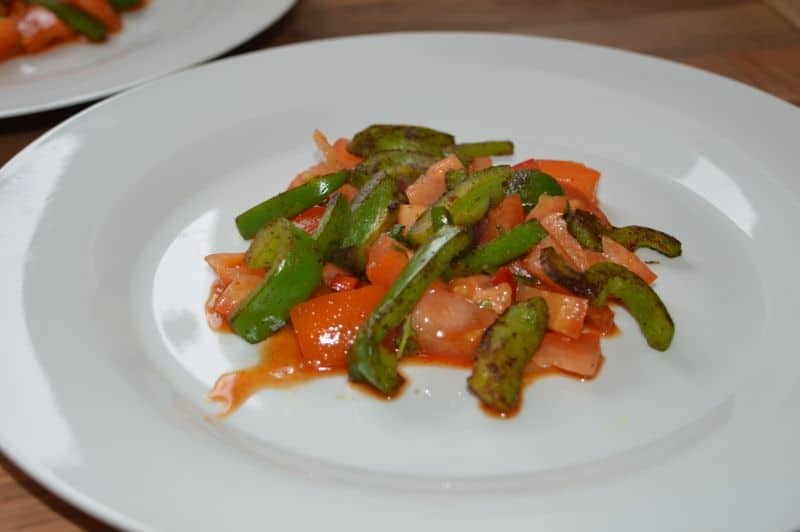 I used our desi Pakistani flavors in this salad and who does’t like Lahori fried fish,so it is not just a salad ,it is a complete meal,here I pan cooked the fish in a frying pan with some fry light oil. 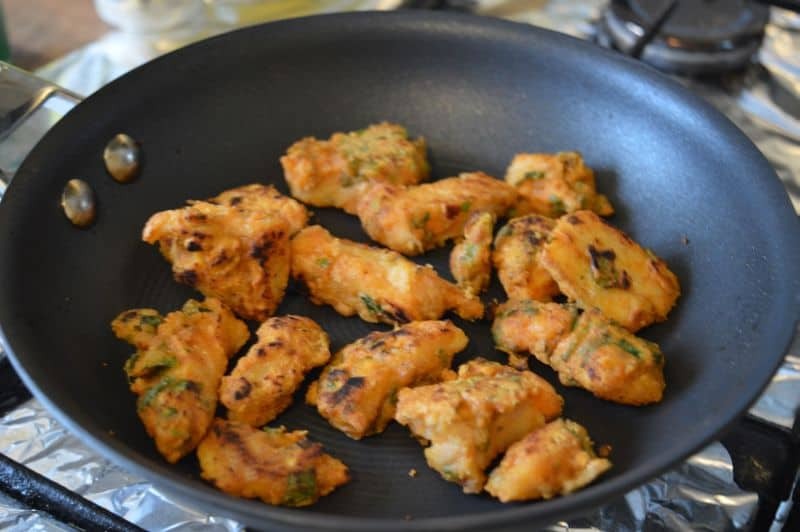 Make sure to use non-stick pan and cook the fish on low-medium heat for 8-10 minutes to make it crispy like actual Lahori fried fish. 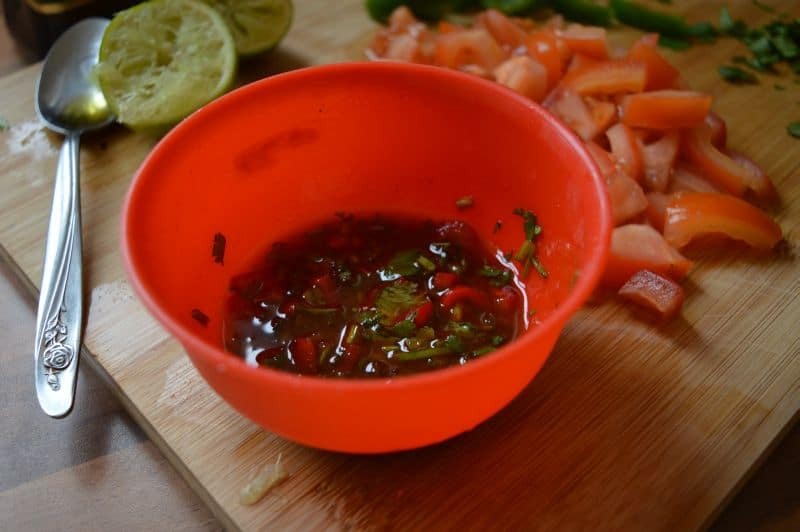 The Chili lime dressing has very balanced sweet and sour flavors which will go really well with fish and salad. It is actually a kind of Thai salad dressing, not exactly that but I get the idea from that. 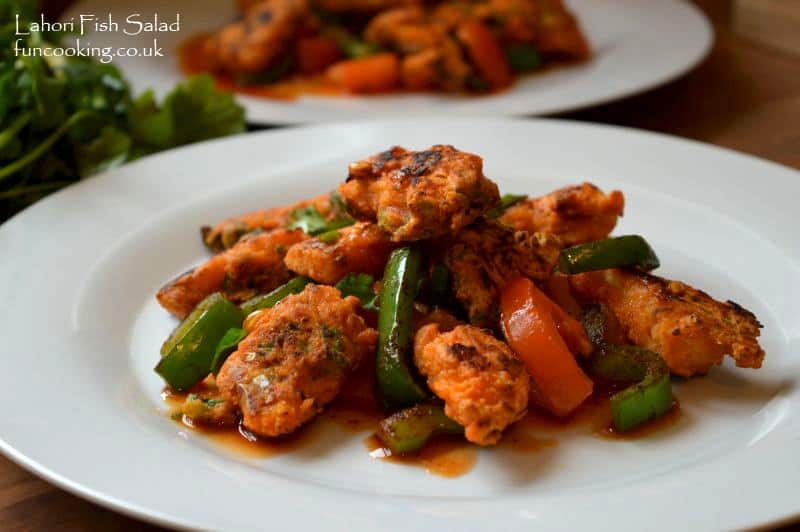 Lahore is a very famous city in Pakistan and this Lahori Fried fish is very famous there. 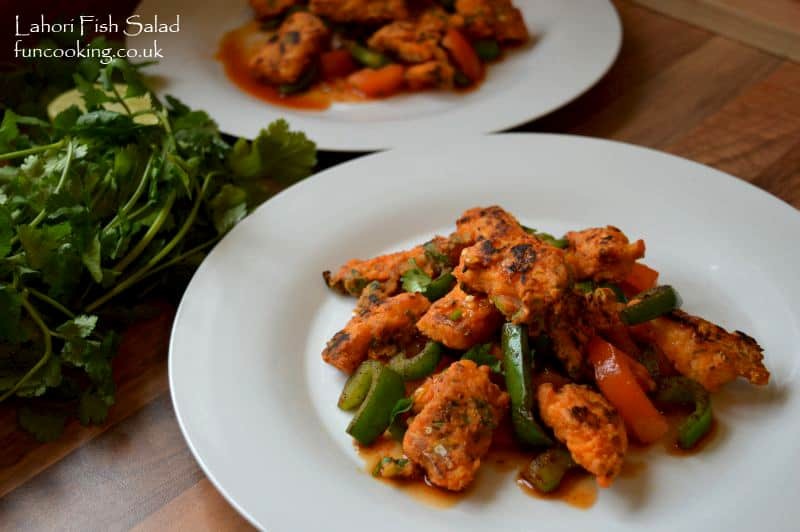 I love the flavors and crispy texture of this fish, so I thought why not make it in a healthy style. 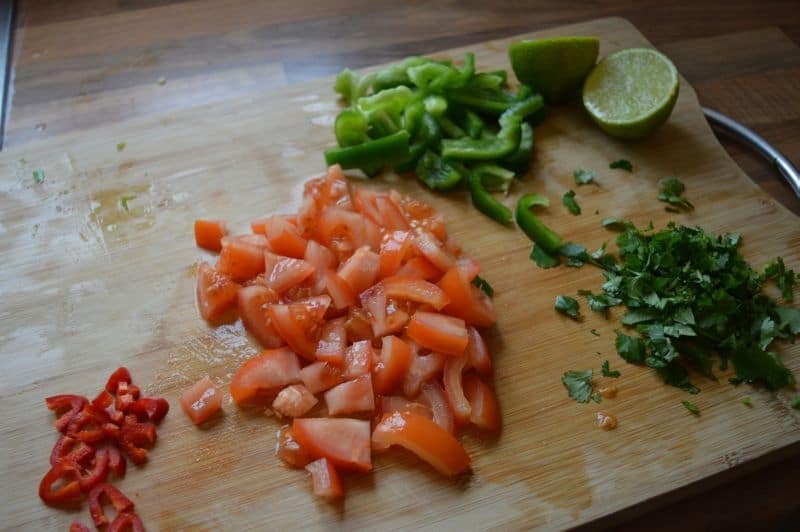 Cut tomatoes in small pieces, cut capsicum , finely chop coriander and red chili. Add all list 2 ingredients in a bowl. Mix well and leave it for few minutes before using. 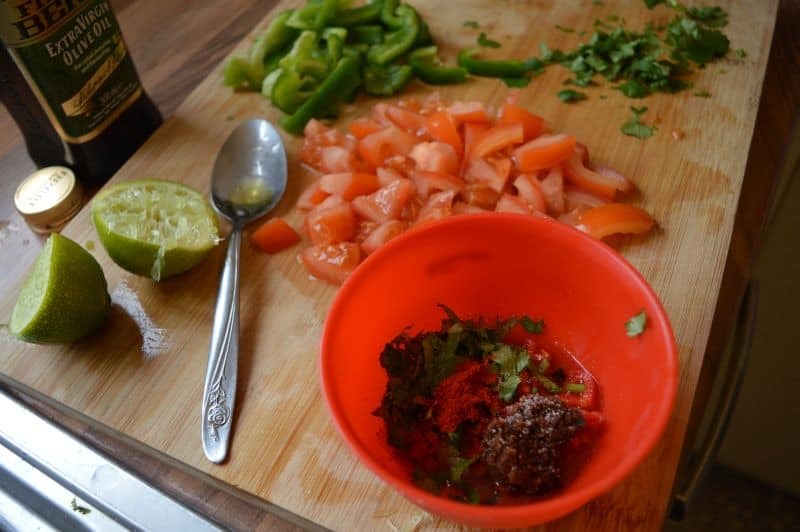 Chili lime dressing is ready. 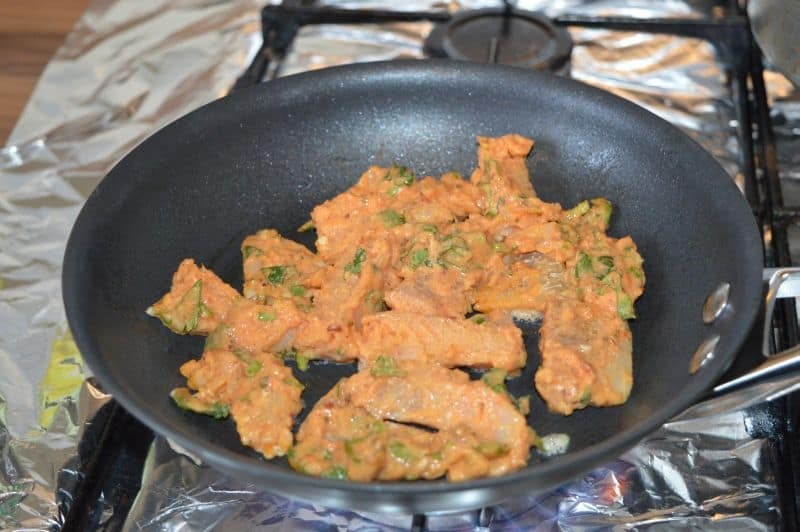 For Lahori fish, Cut cod in small pieces , add in all list ingredients. 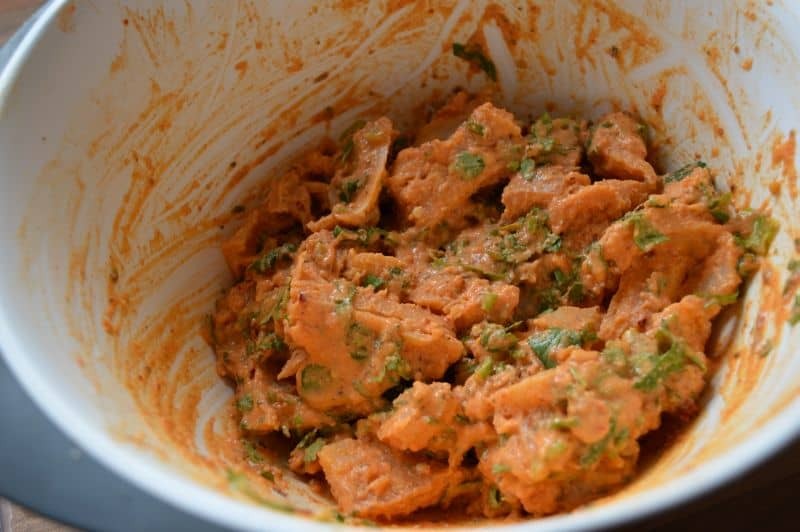 Mix well, add few tbsp water if its too dry but be careful do not make it runny. 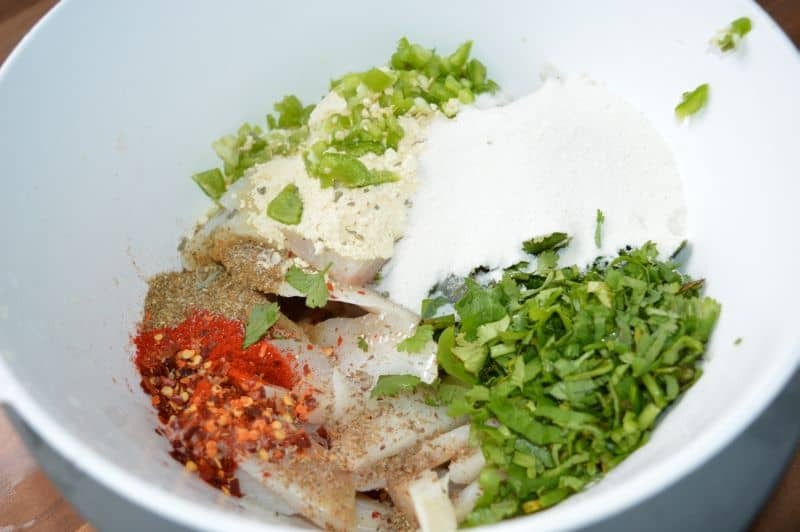 All spices and flours should stick on the fish for better coating and crispy cooking. 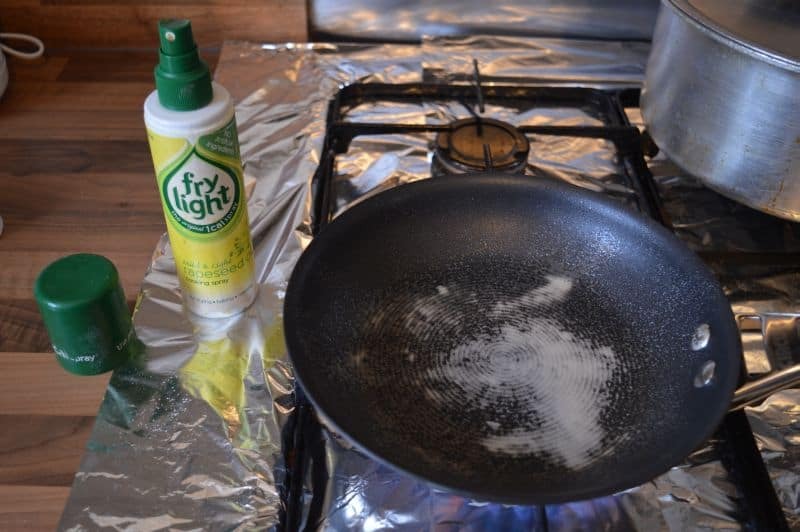 Now spray some fry light oil on a non stick pan. Heat it nicely. Keep fish pieces on it, do not overlap them. Cook on medium heat. Spray more if necessary. When these cooked, cook them on slow heat for more 5 minutes for crispy texture. Take out and prepare the salad now. 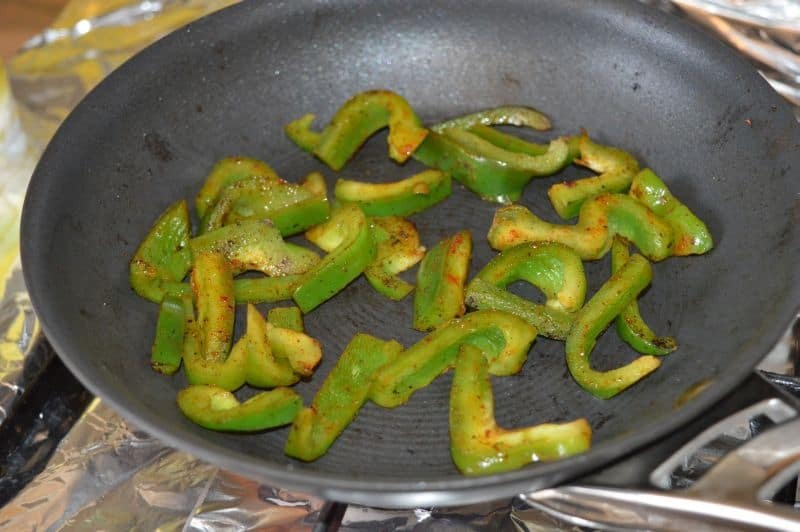 Saute the capsicum with some salt and red chili powder for 2 minutes. Do not over cook. Now in a plate place tomatoes and capsicum. Mix dressing with them. Keep hot crispy fish on top and serve immediately.